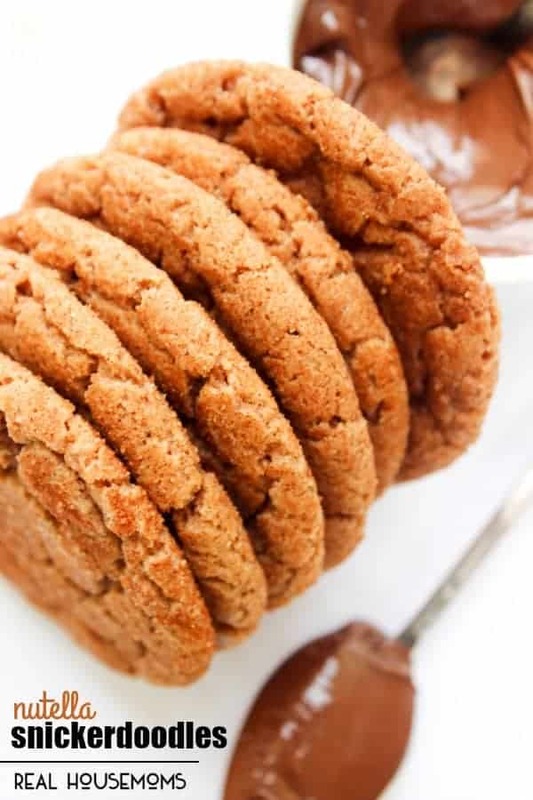 NUTELLA SNICKERDOODLES combine my favorite cookie with my favorite hazelnut spread making this cookie crave-worthy! 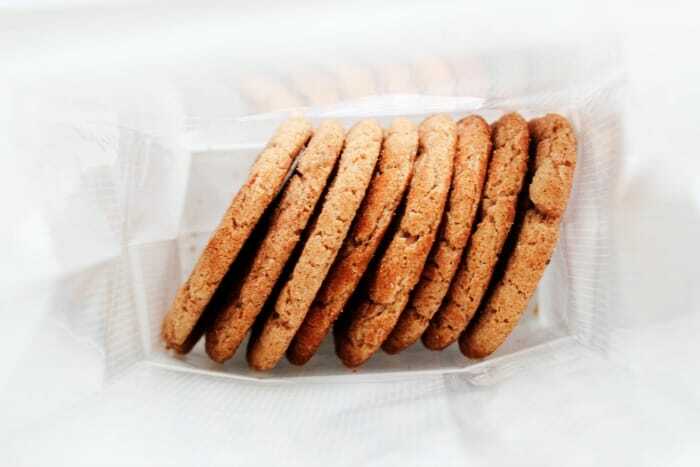 I love chewy snickerdoodle cookies. They are an afternoon weakness of mine. Especially my White Chocolate Caramel Snickerdoodles. I was craving them the other week when I went to make them realizing I didn’t have a key ingredient, white chocolate. I resorted to grabbing my jar of Nutella and eating it by the spoonful. That is when I had the genius idea of making these Nutella Snickerdoodles. 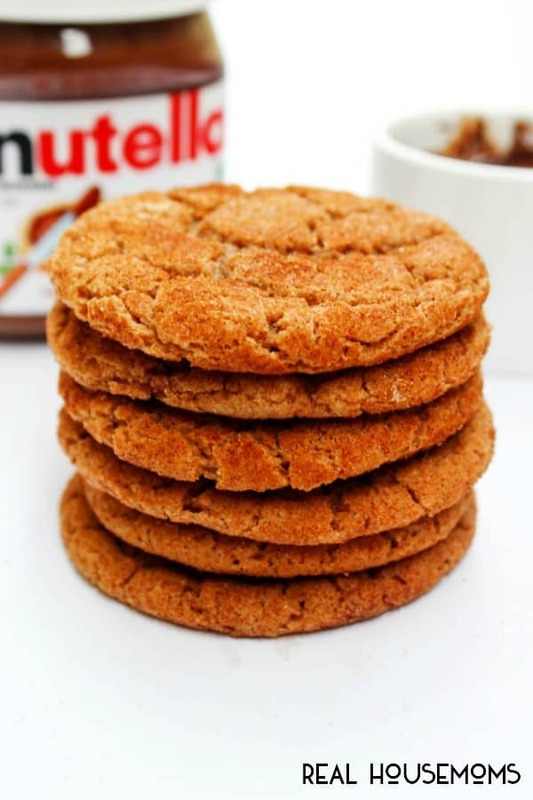 A soft, chewy Nutella cookie with a hint of cinnamon making a ridiculous, delicious combination. I am a huge Nutella fan. I especially love it in cakes, like my Double Chocolate Nutella Cake. And I never thought it would be as good in a cookie, but I was so wrong. It doesn’t matter how you eat Nutella – it is deliciously amazing in any shape or form. 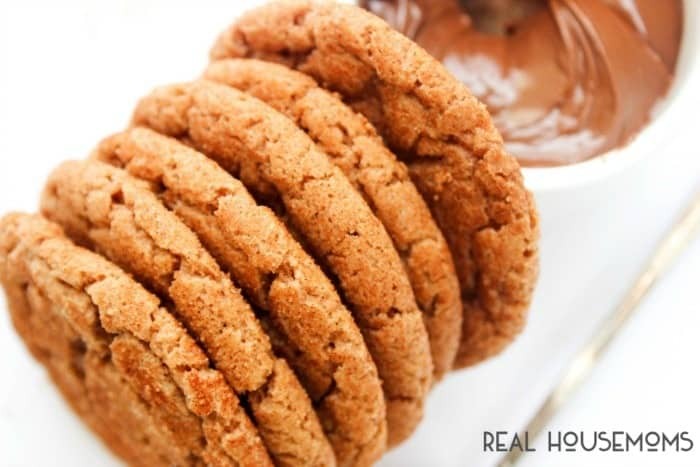 So whether you love snickerdoodle cookies or Nutella, it won’t really matter either way you will love these Nutella Snickerdoodles. If you have any leftover, which you probably won’t be sure to share a few with a friend. I mean a little Nutella pick-me-up has never hurt anyone. Preheat oven to 350F. Line cookie sheets with parchment paper. In a small bowl sift together flour, baking powder, and salt in a medium bowl. Set aside. In a large mixing bowl or stand mixer cream together butter, Nutella, sugar, and brown sugar until light and fluffy. Stir in eggs, then mix in dry ingredients. Mix until well combined. In a small mixing bowl stir together the remaining 3 tablespoons of sugar and 1 ½ teaspoons of cinnamon. Scoop balls of cookie dough, I used my cookie dough scooper. Roll the cookie dough pieces into the cinnamon and sugar mixture. Place cookie dough on the cookie sheet once rolled in the cinnamon and sugar. Place cookies in preheated oven and bake for 10-12 minutes. Slightly cool cookies on the cookie sheet before removing and devouring.